Hidden among her belongings are clues that Lori feels certain Miss Beacham wished to be discovered after her death. Watch out for Nancy Atherton's latest, Aunt Dimity and the King's Ransom, coming in July 2018 from Viking! Feeling a touch world-weary, Lori Shepherd decides to become a volunteer at the Radcliffe Infirmary, where she meets Elizabeth Beacham, a kind, retired legal secretary. But after only one visit, Miss Beacham passes away, leaving behind no family except a brother who has mysteriously disappeared. Armed with the generous help of a handsome neighbor and, as always, Aunt Dimity's supernatural skills, Lori begins to unearth Miss Beacham's secrets--including the surprising truth about her next of kin. 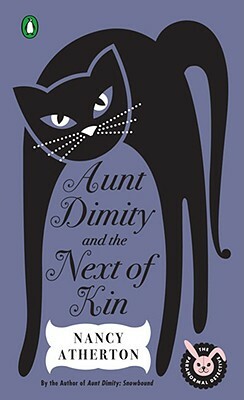 Full of delightfully surprising twists and turns, Aunt Dimity and the Next of Kin is another page-turning installment in the mystery series that has won the hearts of cozy mystery fans everywhere.